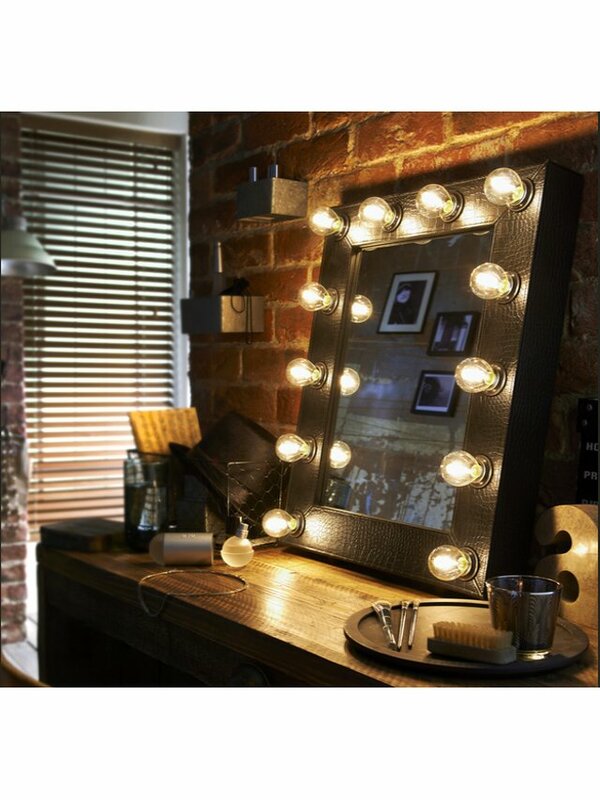 The Broadway Hollywood mirror range is designed using solid materials and comes with a 10 year guarantee. It is the ideal gift for your family and friends. Delivery is free in the UK, ships internationally. 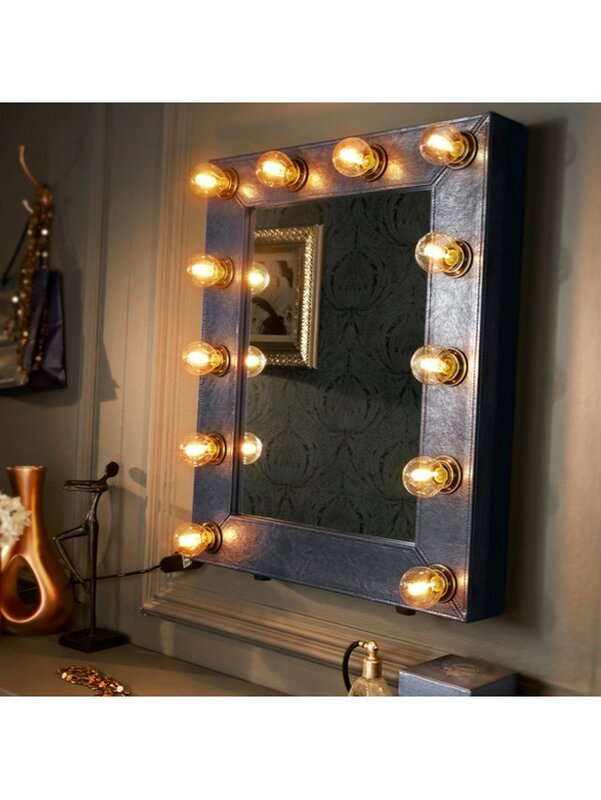 The Broadway Make-up Mirror is hand made from wood and finished with either satin paint or covered with Faux Leather or Faux Crocodile. 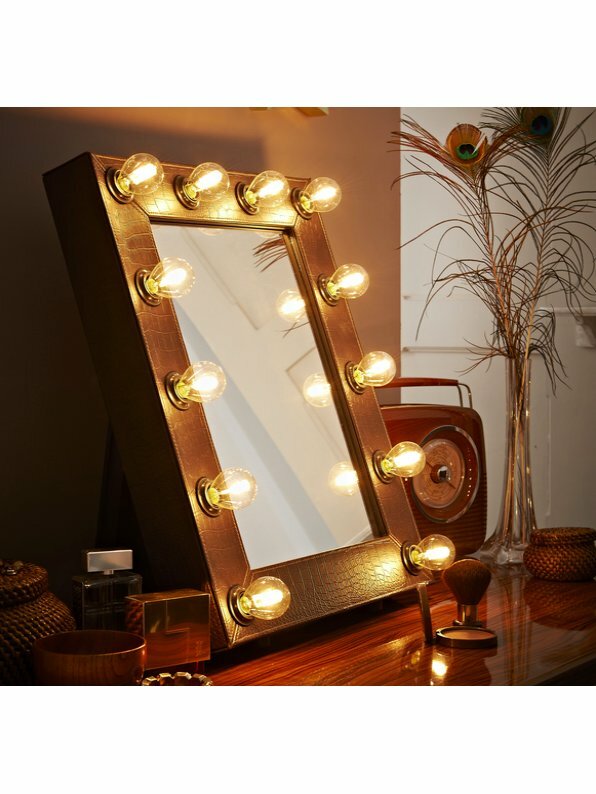 It is designed for simplicity of use and is pre-assembled only requiring the lamps screwing into the lamp-holders – the supply cable with dimmer and plug connecting into the mini-socket, which is located within the rear compartment of the Mirror – and the mains plug (protected by a 3 amp fuse) into the supply socket. The dimmer, which is also the “On/Off” power switch is operated by fully rotating clockwise to provide maximum output and when turning anti-clockwise will dim to eventual off, when fully rotated, noting a click into the off position. 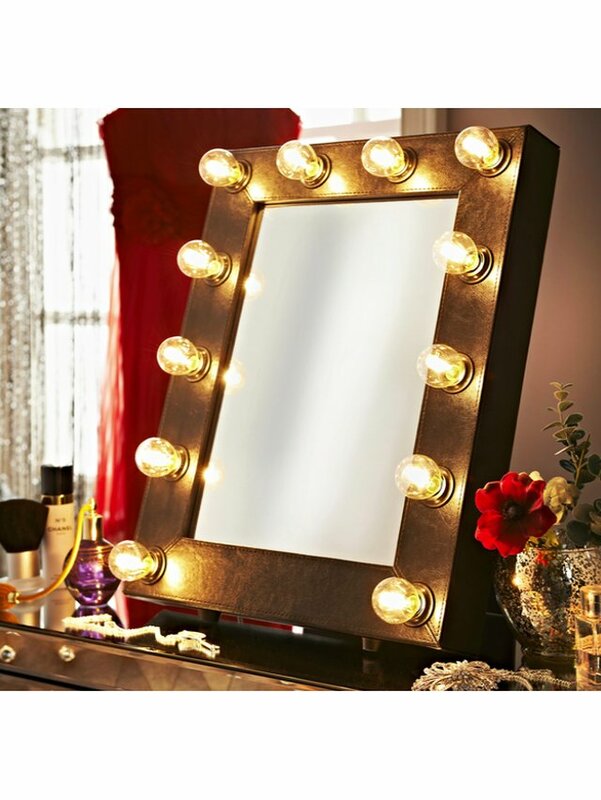 Note that the “deep” measurements exclude the depth of the lamp – for your information this is an additional 60mm.